They thought they were living the American dream. Doug and Syndi are college sweethearts who married soon after graduation. A job on the west coast brought them to Los Angeles for a few years, to advance their careers in the entertainment industry, before returning to the east coast to be closer to existing family..and to start their own. Mason arrived first, followed by Rebecca. Shortly after her arrival, they invested in their dream home in the perfect neighborhood- an early 1970's 4-bedroom colonial, adorned with white siding, black shutters and an expansive rear yard..the perfect place to raise a family. They welcomed their third child, Seth, in 2007 and their family was complete. Life was good. When the recession hit, Doug lost his job. But he quickly turned the unfortunate situation into a positive one by launching his own consulting firm and running it from home so he could simultaneously help with the children so Syndi could secure a position in NYC with health benefits and return to the workforce full-time. Fast forward six years- a bizarre series of events caused the family to question how each of them were plagued by various medical issues and symptoms that appeared to be coincidental more than anything else. Becca suffered from chronic migraines for years, but the frequency and severity began to escalate last spring. Syndi was always exhausted. Doug was diagnosed with narcolepsy and sleep apnea, in addition to chronic sinus problems and a case of the shingles. 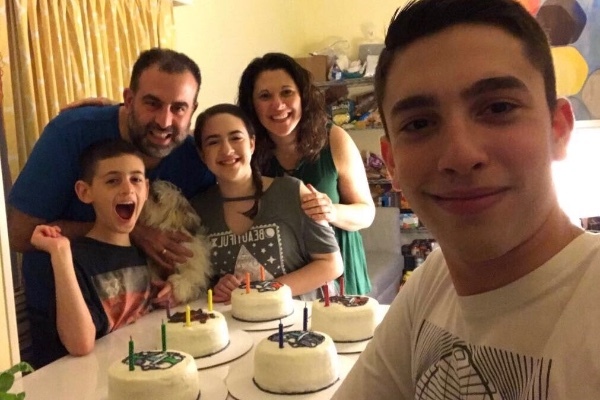 Months after Doug's case of the shingles, at age 14- Mason came down with a severe case of the shingles-which turned into a week-long stay in the hospital with meningitis. Most of these issues were easily justified as Becca is a diligent student and Doug has had allergies and periodic sinus issues as a child. Being a busy mom commuting to NYC and raising three kids could easily justify Syndi's chronic fatigue, too. But it wasn't until Mason was hospitalized and continued to suffer from residual headaches and sleep issues from the meningitis AND their youngest, Seth, developed inexplainable anxiety, that the family's health problems seemed more than purely coincidental. On a hunch from a friend, an industrial hygienist was called in to examine the home, speculating that there was something "environmental" that could be causing the numerous ailments that the Smollers were experiencing. There were no visible signs. No floods or damage in recent years due to hurricanes in the northeast. Yet without any prior evidence, it was concluded that there were three major strains of toxic mold prevalent throughout the home. Reports initially confirmed that the mold was in the garage, basement and attic-but mold spores travel everywhere! It was in the walls, ceilings, furniture, and even in their clothing! The air quality inside the home had also been severely compromised. They had no choice but to uproot their family and immediately seek refuge in a hotel for an unspecified period of time. Much to their surprise and dismay, they had to throw out many of their personal belongings and memories from 20 years of marriage and the irreplaceable early years of the children. 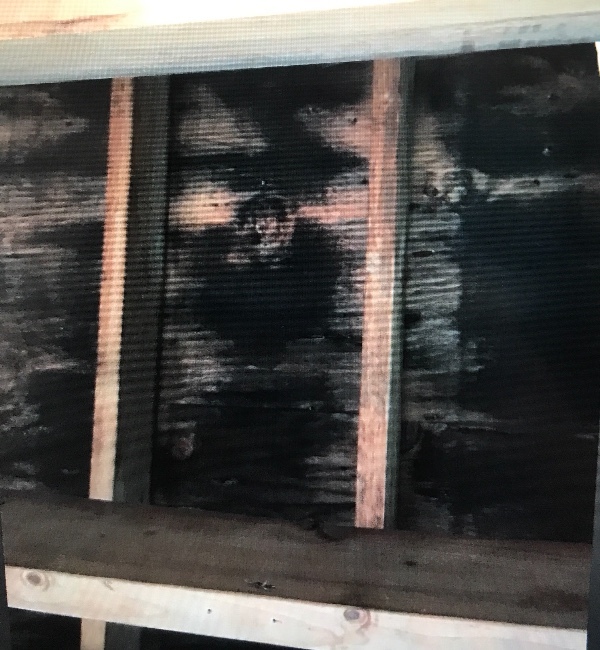 The entire house had to be gutted immediately, as contamination ran rampant throughout their dream home and with each wall that was opened, more of the black mold was uncovered. 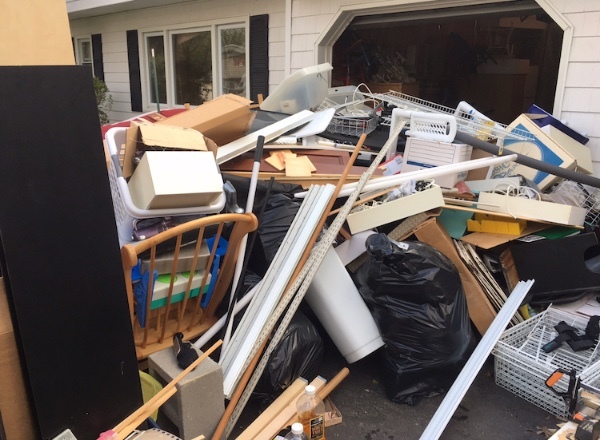 Their front lawn and driveway became a dumping ground- with piles of memories from yearbooks and family photos, to pre-school projects, dolls, sofas and mattresses. It resembled a home whose insides were torn apart from a tornado. They left with nothing but a few garbage bags of clothes-all of which needed to be sanitized, prior to wearing. Things turned from bad to worse when their homeowner's insurance, which they had been paying for 13 years, proved almost worthless. A team of lawyers and accountants exhausted every option but could not attribute the liability to the insurance company, the builder, or anyone else. 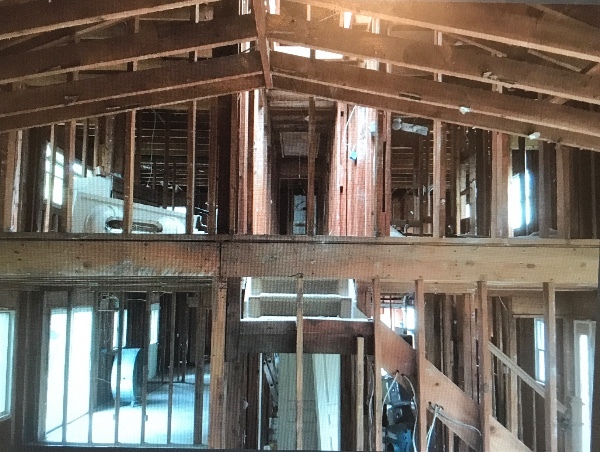 Despite this, the Smollers had no choice but to proceed with the gut demolition, remediation and reconstruction on their own to ensure that the family had a safe home to live in. The home was torn down to the bare studs, so a team could encapsulate and disinfect what remained of the structure and rebuild. It was evident once the house was gutted why they were all so ill. 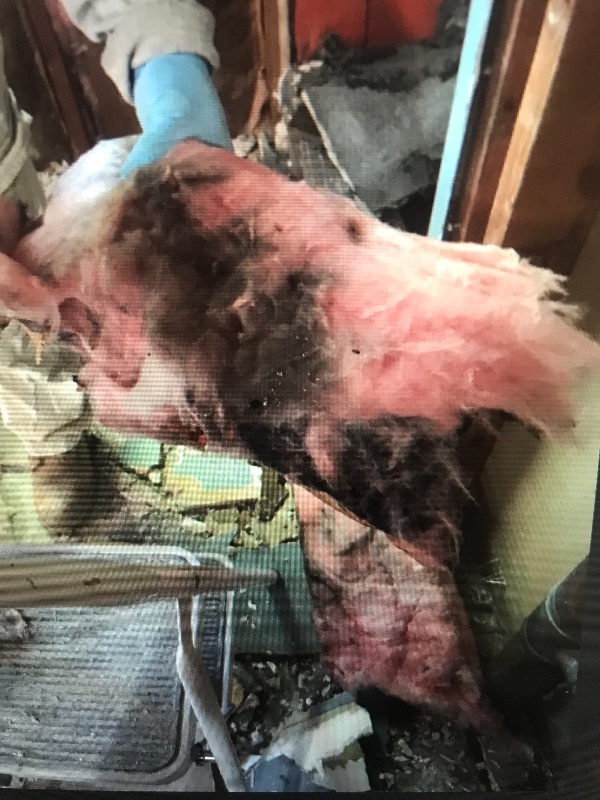 Thick layers of black mold were revealed in almost every ceiling and wall cavity, in the ductwork and encrusted in the insulation. The moisture and foul smells typically associated with such an outbreak was never present. Over the past 7 months, the Smollers have turned to their congregation and local community programs for emotional and financial support. Doug, Syndi and the kids (along with Zoey, a new puppy the family brought home just weeks before the mold was discovered) have lived in a hotel, cooking in a small efficiency kitchen, surrounded by what few possessions they were allowed to salvage. They are so grateful for Zoey, as she provides much needed joy and distraction during this most trying time. The Smollers have leveraged everything from the equity in the home, to retirement and college savings. Their credit cards have been maxed-out to pay for ongoing medical treatment and the generous donations collected from their community have dried up. The detox treatment the family needs to rid their bodies of the toxic mold requires weekly intravenous and other medical treatments including oxygen therapy, most of which are not covered by health insurance. In addition to the cost to rebuild their home, they cannot keep up with their medical bills. Even with the help of donations from local suppliers, the rebuilding of the house has been slow due to the lack of funds. Despite the remarkable efforts of so many, it simply isn't enough. It's more than simply the loss of their home and majority of possessions in it, The health of the entire family has been seriously compromised and they have run out of money to continue medical treatment. Rebecca's symptoms have escalated since she has left the home and despite many visits to specialists and physical therapy, she continues to struggle to get out of bed every day and has been unable to attend school and live the life of the average teenager. It has been determined that the toxins have impacted each member of the family's liver function, resulting in various other medical issues. Their health ailments were certainly not coincidental. Through no fault of their own, this incredible family has dealt with such pain and loss, the likes of which no one should ever experience. Through love, faith, and a strong sense of family, they are managing to keep their heads above water-up until now. They are drowning in insurmountable debt with no one to hold accountable and the fear of disappointing the children, not being able to heal them from the toxins or return home soon. 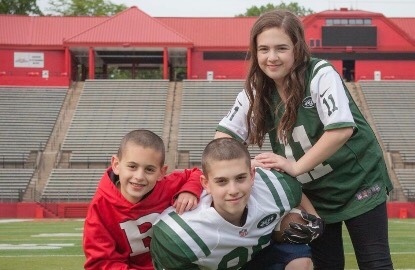 The Smoller family needs your help! Every dollar counts and we are counting on you today to lend your support. Help them return safely to their home, the only truly safe environment for them, and continue to rebuild their future together as a family.